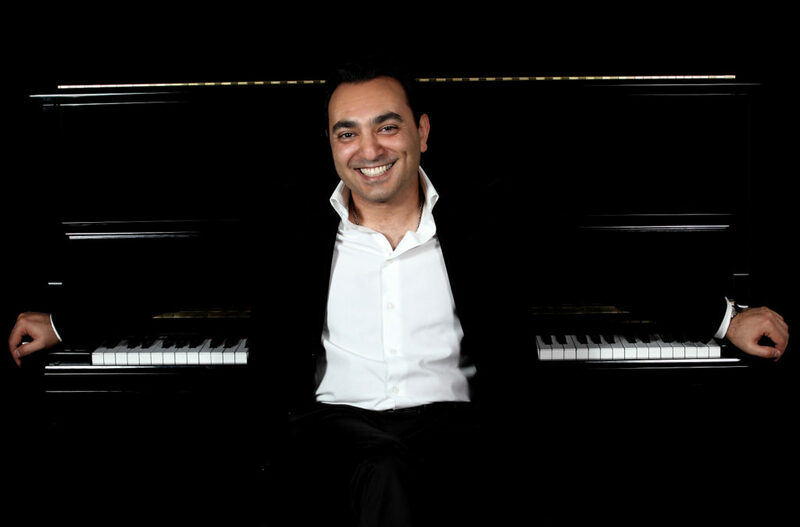 Born in 1973 in Tehran, Iran, Safa Katebpour Shahidi began playing the piano as a child. He received his professional piano and music theory lessons of music under Dr. Mehran Rouhani (Postgraduate from Royal Academy of Music). In 1995, he earned the Performer’s Certificate in Pianoforte from Trinity College of London and in 1997, the A-level of music from Oxford and Cambridge Examinations and Assessment Council. He also participated in master courses of piano held by Prof. Gerhard Geretschlaeger (Professor of Vienna Conservatory), and continued his piano lessons under Haynoush Makarian, one of the most renowned piano teachers in his hometown. Inspired by folklore and traditional music of his home Iran, Safa Shahidi has composed several pieces for piano solo and two pianos. He describes his work as containing “Oriental” intervals, rhythms and melodies conveyed within the framework of Western classical music which creates a blend of sounds, bringing East and West culture together.